Baby clothing comes in very standard sizes, but just like adult clothing, every brand has a different opinion on what constitutes a specific size. That's why it's so important to consult a baby clothes size chart and consider your baby's weight when trying to figure out the right baby clothing size to purchase. If you don't you run the risk of your baby wearing clothing that is too tight and uncomfortable for him or her. Here's a prime example: my daughter was 7 lbs 7 ozs when she was born and fit pretty well into the 0-3 months sizes that corresponded with her age when she was first born. But, as with all babies, she grew very quickly, her torso getting long while her legs stayed a little shorter. The end result? By 8 weeks old, I needed to purchase 3-6 month clothing so it would fit her little belly that started peeking out all the time. On the other hand, there are some babies that are just born big. I have a friend that has 3 children; all weighed more than 10 lbs at birth. Her kids have never worn a 0-3 month size. So what's a parent to do? For starters, buy according to weight and length. Most major manufacturers of baby clothing have hangtags which now include both weight and length information. If you’re shopping online, be sure to use the websites sizing chart if they have one available. You can also buy big, which I highly recommend - unless you're purchasing baby sleepwear. It sounds silly to buy clothes that aren’t going to fit the baby, but they grow so fast that, what might not fit this week, could very well be perfect in a few weeks. These rules also ring true if you are buying baby clothes as gifts, or if you are registering for your shower. Remember, babies come in all shapes and sizes; considering your baby’s weight when buying baby clothes is a smart thing to do and can ultimately save you from spending hundreds of dollars on baby clothing that may not fit. Buy only a few 0-3 month size baby clothes: Your baby will grow so fast in those first few weeks that he’ll probably bump up to size 3-6 month before you know it. So have plenty of 3-6 month size clothes ready for your newborn before he arrives. 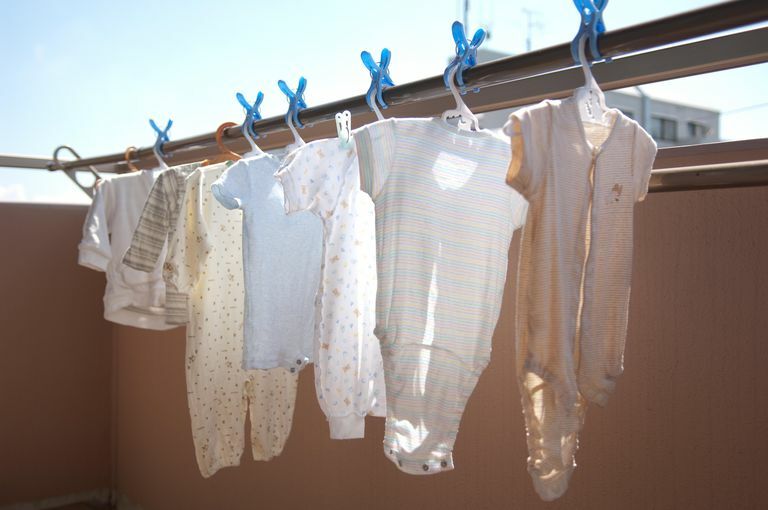 If you receive too many newborn size or 0-3 month size clothing as gifts, exchange a few of them for a larger size. You can always roll up the sleeves or pant legs if it’s too big. And with bigger clothing, you’ll get so much more wear out of them. 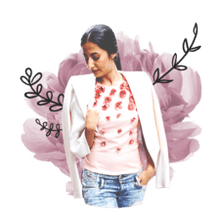 Avoid buying too many footed pajamas: While footed pjs are super cute, babies outgrow them way faster than regular pajamas, one- and two-piece, since their growing legs and feet have no where to extend and can get crunched up. Instead, opt for pajamas without feet and keep baby’s feet warm at night with a pair of socks that you can remove if he gets too hot. When your baby’s legs get too long for footed pajamas, you can cut the feet off the pajamas to let your baby’s feet go free. ​Ralph Lauren baby clothing runs small: Ralph Lauren produces adorable baby clothes, but be aware that their sizes tend to run super small. For example, a 9-month-old shirt is actually more like a 6-month-old shirt, etc… So plan for your baby to wear his Ralph Lauren outfit much earlier than the size indicated. Keep price tags and save receipts for all clothing: Not sure if your baby will fit in the outfits you bought him? Keep tags on clothing and save receipts for everything in case you need to exchange something for a larger size.